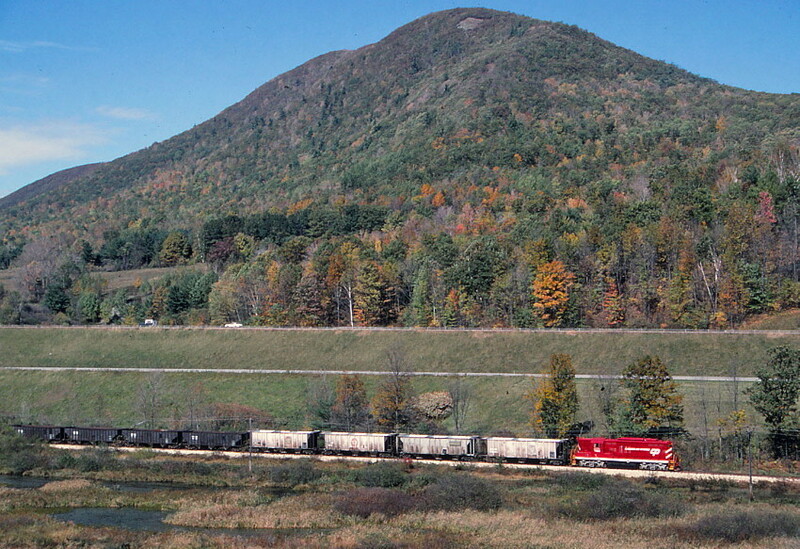 Vermont Railway @ West Rutland, Vt.
A west bound runs along the Castleton River between Routes 4 and 4A. Blueberry Hill of the Grandpa's Knob ridge makes a nice backdrop. Could that be Blueberry Hill? Good Job on a grand photo! Best Regards, Jim L.
Blueberry Hill is at Goshen, VT, much further north. Thanks anyway. You know after further study I think you might be right. My Google map does identify it as Blueberry Hill part of the Grandpa's Knob ridge, but I did see a Blueberry Hill at Goshen, I think. Anyway a thanks goes out to J. Lark and K. Patton.